George and Amal Clooney stepped out on Wednesday (December 5) evening to attend the 23rd Annual United Nations Correspondents Associations (UNCA) Awards in New York City. Do I need to profess my love for Amal Clooney once again? 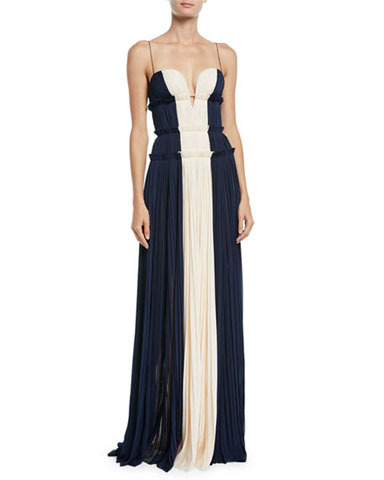 Well I’m going to anyway, because the human rights lawyer looked breath-taking in J. Mendel’s blue and white silk gown. Impeccable and polished from head-to-toe, at this point I think she could wear a bin bag and I would still swoon. It’s all in the delivery and finesse.